Foysal has been working in coastal areas of Bangladesh since 2007 with special focus on waterbirds. He joined Bangladesh Spoon-billed Sandpiper Project (BSCP) as a volunteer in 2010, and then formally joined the project in 2011. 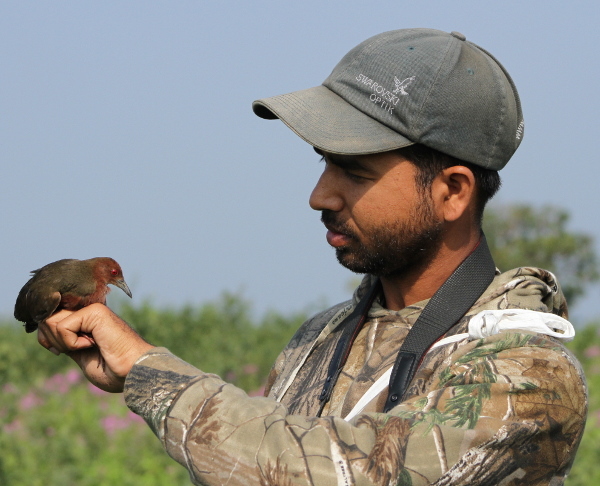 He worked on hunting mitigation of shorebirds and conducts monthly monitoring on Sonadia Island, Bangladesh. He and his team arranged large-scale awareness campaign including boat race at Sonadia Island involving ex-hunters and local community, which played a vital role to develop awareness on threatened species. Since 2015 he has been carrying out expeditions to south central coast of Bangladesh as part of his job, which identified another wintering hotspot of SBS in Bangladesh. Currently he is working as a co-investigator of BSCP and supporting Task Force’s work with Sayam Chowdhury.